A character’s history and experiences shape his view of the world and of his place in it. It’s more than how he sees himself; it’s his intellectual perception of how the world works and what effect he can have on it. With this in hand, he can take in stimuli, reason through what is happening and why and eventually take action. 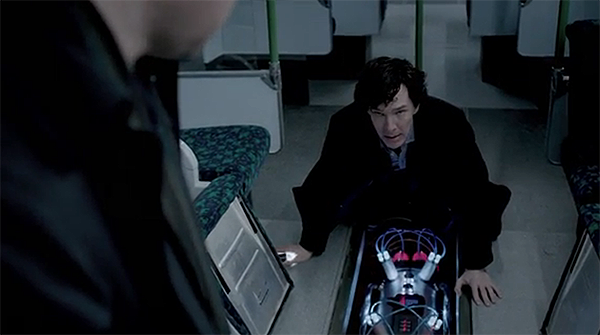 Well, John, my deductive skill tells me that we’ve discovered a robot turkey. Perception is cognition of events, etc. as a whole. We know people have different levels of perception and they all see things differently. This is a great way to show something about your character. A number of things can shape a character’s worldview. Whether they control him and by how much depends on the proportion of their influence in his life. Some cultures are isolationist; they believe (and teach their children) that the outside world is full of peril or is at odds with their beliefs. For example, Amish people prefer to live a certain way in accordance with their religious dictates. While they do make a conscious choice to join the church as adults, they rarely decide to leave their communities because their upbringing doesn’t support an existence in modern society without a huge adjustment. A character who is exposed to other worldviews, especially during his formative years, will have more tolerance to different ways of doing things. If your hero’s viewpoint is at odds with the situation in which he finds himself, he’s going to have a much harder time of it if he hasn’t been raised with open-mindedness. Many people depend on their faith for answers to the most puzzling questions of life. Religious belief can be rigid; it doesn’t always allow for alteration and acceptance. 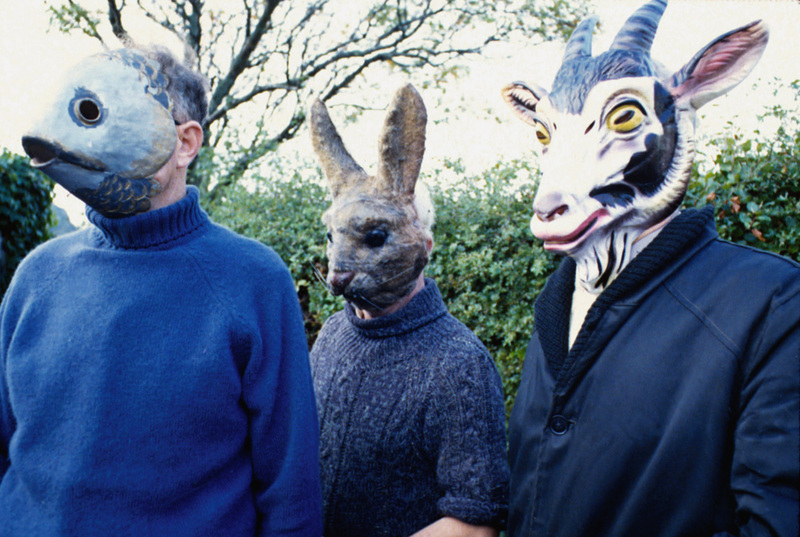 In the 1973 film The Wicker Man, Police Sergeant Neil Howie (Edward Woodward) comes to the remote Hebridean island of Summerisle to investigate the disappearance of a young girl. He finds a hedonistic society that is at odds with his own strict moral upbringing. This dichotomy causes him a great deal of anguish, and it keeps him from seeing the real reason he’s there until it’s too late. You’d think the people running around in animal masks would have given him a clue. What are some of the things we learn at school? Besides reading, writing, history, and computer sciences, we learn socialization and cooperation. We also learn about bullying, abuse, and cruelty. A character who went through this in school could view people in his adult life with suspicion. If they try to befriend him, he might think they have an agenda and avoid them. Think about this from the bully’s point of view, too. Your character may not be a pleasant person if he’s used to taking what he wants and getting his own way. News and popular opinion gleaned through television, radio, and internet influence people all the time. The worst part about media is that it’s not always accurate. People tend to take the easiest route toward learning something. They take what they see and hear at face value and rarely bother to fact-check, unless what they’re hearing sounds suspiciously far-fetched (and often not even then). Our friends are a huge part of our worldview. We surround ourselves with like-minded people, and share experiences with them that reinforce those attitudes. 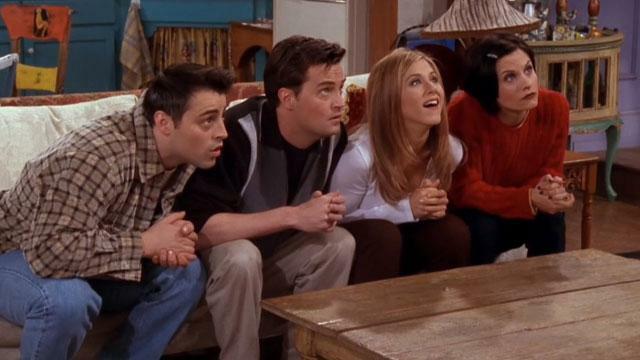 I’ll be there for you…but only if you’re the same as me. When new people come into our circles, they sometimes shake up the status quo and give a settled group a new perspective. Depending on that person’s motives, the change can either strengthen a group or tear it apart (which provides the writer with excellent conflict material). Your character’s worldview gives him a unique perspective on events. Take two different people and put them in a situation with the same exact stimuli at the same exact time. The things one person notices when he walks into a room will tell you a lot about him, as opposed to what another person would see in the same space. See how their reactions and what they perceive differs. This will absolutely change the way you write a scene. It’s a huge help when working with show vs. tell. And a character’s altered perspectives will provide you with numerous opportunities for growth and development. This entry was posted in Blogging A-Z April Challenge 2014 and tagged character, Worldview by A. Elizabeth West. Bookmark the permalink. I was just making a quick stop from the A-Z but got really engrossed by your blog. Plenty of useful stuff to think about. Thanks.